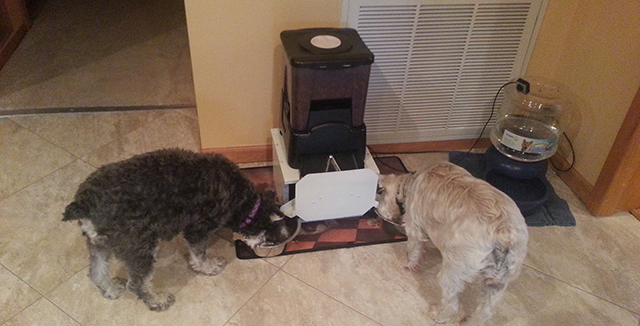 Ben Miller created an Internet-connected dog feeder that dispenses food to his pups every time an email is sent to a certain Gmail address. The GPIO pins of a Raspberry Pi are connected to the buttons on the dog feeder through a pair of relays. A small bit of programming with WiringPI allows the Pi to check a Gmail account and dispense food on command. As a bonus, there’s also a webcam that can check in on the dogs and make sure they’re happy.